If you regularly invoice customers, you may have had instances in which outstanding invoices have become overdue. It’s always frustrating and may be hard to avoid, but there are some things you can do to make collecting on overdue invoices less stressful. Before we get to that, let’s discuss the difference between an outstanding invoice and one that’s past due. You may hear “outstanding invoices” and “overdue invoices” used interchangeably, but they mean slightly different things. An outstanding invoice is a payment that a customer has yet to pay. You may send out an outstanding invoice before the actual payment due date, so you can collect the payment in a timely manner. A past due invoice is a payment that a customer has yet to pay and which is past the due date. Past due payments can increase business risk and may start to affect your cash flow. This is why it’s crucial to track outstanding payments and get your clients to pay on time, before outstanding invoices become past due. If you have customers who are repeatedly at risk of converting from outstanding payments to overdue, try these tips to keep them on top of their payments. Your best bet to collect outstanding invoices on time is to be clear with your terms from the start. When you send your clients an invoice with Square, there is a field provided to specify the due date. If you have customers who are regularly late with their invoice payments, you might also consider adding a reminder note about expected payment date in the personal message field. With the amount of email that everyone receives these days, there is a possibility that your invoice got lost in your customer’s inbox. If an invoice is past due, it’s worth going in and hitting the “Remind” button. You can also email them a personal message with a link to their invoice, which you can find by clicking a specific invoice, selecting the customer’s name, and then clicking the three dots at the bottom right of the page. If you’re anticipating a late invoice from the start, you can set up email reminders when you are creating the invoice. 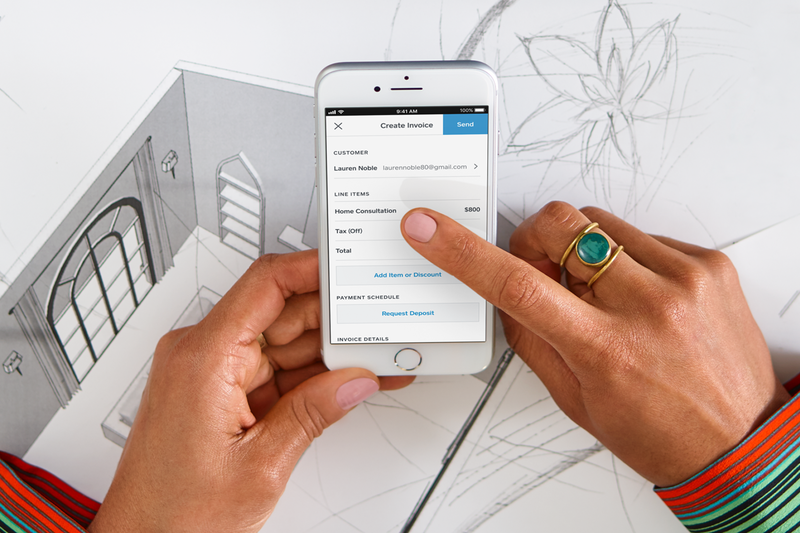 We’re all about saving paper by using digital receipts. But when clients don’t respond to email, it might be time to snail-mail them a good old paper invoice. Just hit the More drop-down menu in Square Invoices to find the print option. Any way you slice it, hunting down outstanding invoices isn’t exactly fun. But hopefully these tips will make it a little less painful. If you see a lot of outstanding invoices becoming overdue, you might consider incentivizing customers to pay earlier. Offering promotions for early payment can help ensure that you have fewer unpaid invoices to track down at the end of the month. You may also want to charge penalties for past due invoices if they start affecting your cash flow. It’s not uncommon for companies to charge customers a fee that increases the longer an invoice goes unpaid. If you do decide to create a penalties policy, make sure to include it in any contracts or preliminary agreements with your customers.